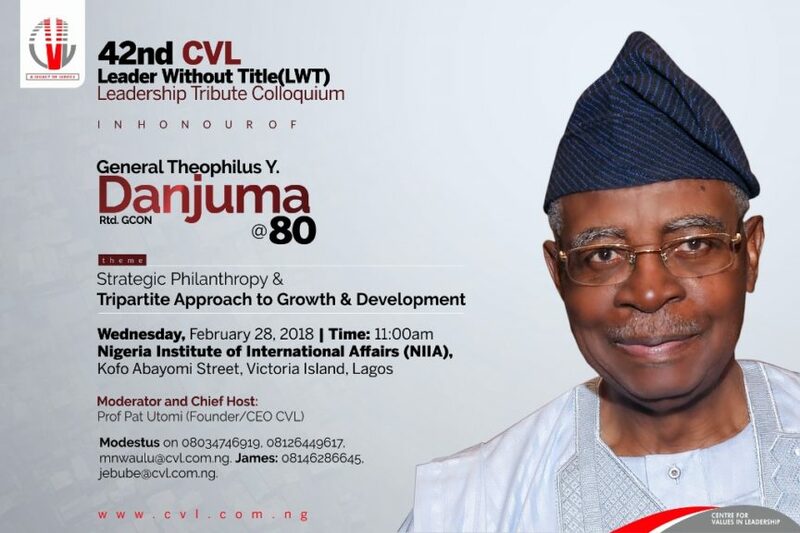 The Centre for Values in Leadership is pleased to invite you to the 42nd CVL Leader Without Title Leadership Tribute Colloquium in honour of General TY Danjuma @ 80. General Danjuma has shown leadership in Public service, Private initiatives and Development works. 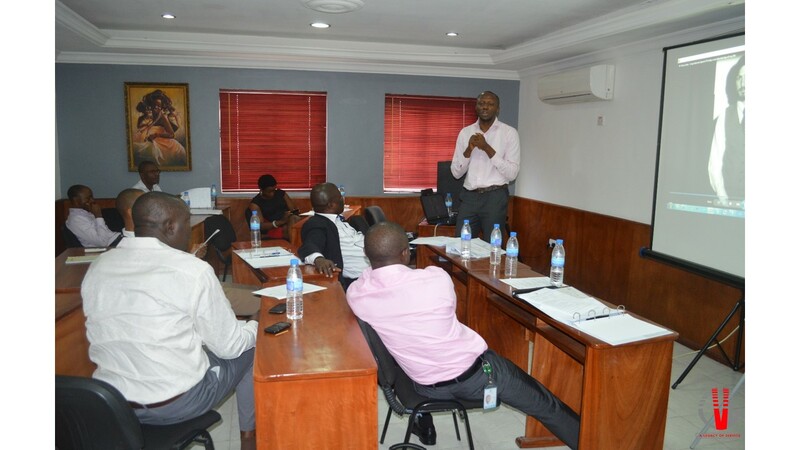 The Leader Without Title (LWT) Leadership Tribute Colloquium is initiated by CVL to honour outstanding sector leaders for their special contributions in the sector where they worked. This programme is in keeping with our commitment to affect the Generation Next to be leaders without care for title. It is an honour for people who are 70 years and above who have left a mark worth emulating. The theme of this colloquium is: Strategic Philanthropy and Tripartite Approach to Growth and Development. For Adverts, Congratulatory message, Partnerships, Sponsorship and Confirmation of attendance, Please contact: Modestus on 08034746919, 08126449617, mnwaulu@cvl.com.ng; James: 08146286645, jebube@cvl.com.ng. I wish to be part of this colloquium, would I need to register? If yes, how? I am coming down from Kaduna and wouldn’t want to come without confirming my access.